MOON TOWNSHIP — After getting injured on Oct. 20 against the Central State Marauders, All-NEC preseason defensive lineman Amir Fenwick is set to make his return this weekend against Sacred Heart, after missing last week’s match-up against the Saint Francis Red Flash. “Amir is going to be fine to go,” said RMU Football head coach Bernard Clark. Fenwick came into this season as one of two Colonials named to the All-NEC preseason team along with his teammate and fellow senior Adam Wollet. 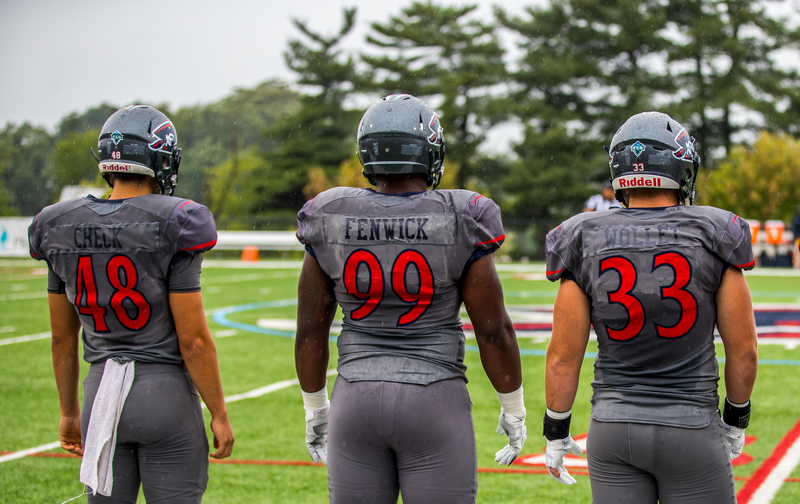 Fenwick has totaled 29 tackles 2.5 TFL and one sack in seven games played this season. His best game of the season came against Virginia State in which he recorded 10 tackles and 0.5 TFL.